Darkest Dungeon Interview - Where Will the Darkness Take You? I've never been one to be terrified by video games. I've jumped at some freaky moments and shriveled my face in grotesque horror at others, but by and large no video game has ever put me in a position of pure dread where I couldn't make a character take another step. Nerves of steel, I guess. Then, last year, I saw a trailer for an upcoming indie game called Darkest Dungeon from Red Hook Studios, and I could barely even finish the clip. Four sojourners walk into the dark depths of a horrific dungeon only to be waylaid by skeletons. Already amiss and terrified by being lost, they realize the hopelessness of their situation once their attacks prove useless against the massive horde of the undead. Red Hook Studios managed to create one of the most frightening game trailers of all time for a game its team had been self-financing for nine months. No huge budget or expensive marketing push to get its game out there. Just a single trailer before Darkest Dungeon disappeared from the Internet only to reignite our memories in the form of a Kickstarter program a few months later. I certainly had not forgotten the feelings I felt watching it the first time, and obviously neither had a large number of other people. Darkest Dungeon crushed its Kickstarter goal after a single day and is now rising through the ranks of the stretch goals. "It didn't feel real, quite frankly," says Creative Director and Artist Chris Bourassa when I asked him about the campaign's quick success. "We had been working such long hours getting the campaign ready that when the 'Publish' button was clicked and things started to really pick up, I couldn't tell if I was asleep or not!" "It's been an incredible experience – at once energizing, and very humbling. It's been fantastic to get the validation that our concept and product have a market, but we're all experienced enough to know that there are still many challenges to come." Red Hook Studios, like many other emerging indie teams, is made up of development veterans with a handful of great titles to their name. Past experience within the industry had helped them brainstorm and forge a plan of attack before pitching their product to the public, a tactic that Darkest Dungeon should provide a textbook plan for other crowd-funding seekers to follow. "I think the early announcement in October, and building our mailing list prior to the KS launch were critical to our success. Kickstarter is a momentum-driven thing, and having a small, passionate group that pledge early and help spread the word really helped get us going," he adds. "We felt it was important to demonstrate to our backers that we believed in the project enough to dedicate ourselves to development prior to soliciting pledges." There is no doubt that the early announcement had been vital to Darkest Dungeon's success, but the game does a fantastic job of speaking for itself as well. Even without a monster AAA budget, Bourassa has managed to create an impressive looking game that has resonated with audiences everywhere, a fact that he is proud of, believing that his style allows his game to "stand out in the crowd of pixel-arted indies." "I drew a lot of inspiration from my favourite comic book artists: Mike Mignola, Guy Davis, Victor Kalvachev – I could go on," he says about his inspirations. "I wanted to find a look for the game that was visually striking, production friendly, and that complimented the tone of the gameplay. The stylized, angular shapes reflect the uncompromising nature of the game, while the heavy black shadows create the sense that everything is merging with the darkness, or emerging from it!" "Additionally, I wanted the game to feel weathered and 'old' – to harken back to illuminated manuscripts and medieval crowquil writing. The imperfect line quality and loose colors help to convey the notion that the game itself is grounded in its own time period, and not at all a modern thing." 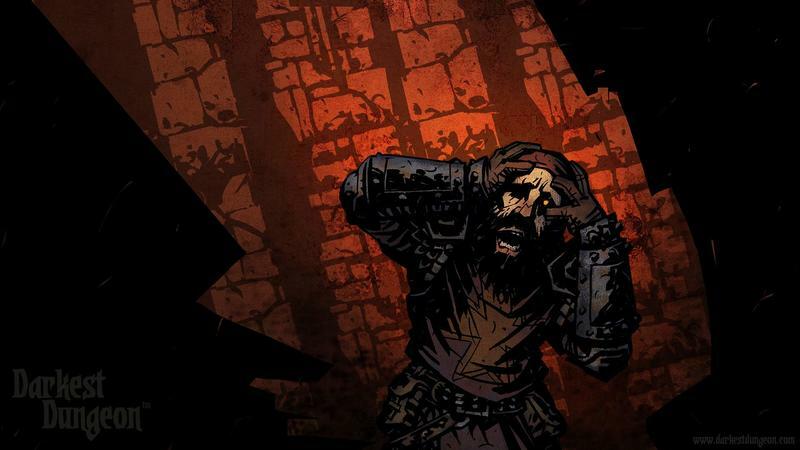 The stressful nature of roguelikes is highlighted by the insanity of Darkest Dungeon's art style, and it is further expanded upon with the "top-line gameplay feature: the Affliction System." While on the surface Darkest Dungeon looks like a dungeon-crawling roguelike, Red Hook Studios' Affliction System brings the tension felt by playing roguelikes into the minds of the party members. "When a hero reaches the top of his or her stress tolerance, they do an affliction check, and can either shake off the stress, activating their personality-based heroic moment, or they can fall victim to it, becoming 'afflicted,'" says Bourassa on his game's main selling point. "Afflictions are broken up into families – depression, abusiveness, selfishness, etc – things that people tend to do when they are extremely stressed." "An afflicted hero may not always do what you tell them to, or may act out in unpredictable and undesirable ways! Eating more than their share of food, striking a fellow adventurer, wandering off in the night, or just constantly complaining. Their actions in turn have an effect on the other heroes, completing the gameplay loop." Beyond the art style, Bourassa believes that it is this unique approach to an RPG system which allowed it to become an overnight success. "I think our whole approach of focusing on the stress and fallibility of the heroes has really resonated with people – our goal was to create a dungeon crawler that rejected the fundamental assumption of nearly every other game in its class. Namely, that your hero is nothing more than a paper doll with a set of stats you seek to improve with better gear"
"Our heroes don't always do what you tell them, they bicker with each other, they get stressed, and they act out when things get to be too much." Nor are characters ever defined from the start. Bourassa points out that characters are subject to change based on their experience within the dungeons. "Some heroes may arrive in your hamlet with a few starting proclivities or quirks, whereas others will be clean slates. In both cases, it is their experiences in the dungeon that will really shape them." "Quirks can arise from almost anywhere: reading a forgotten manuscript, getting hit too hard, seeing a teammate die – virtually everything that happens has the potential to strike a chord with one of your heroes. Quirks aren't necessarily bad, either – a character who has just landed a deathblow on a creature may be gifted with enhanced critical strikes against that monster type going forward." Bourassa point to classic horror and disaster films such as Aliens, Band of Brothers and The Thing as huge inspirations for the game's cast since "they all feature stories that focus on a group of people in exceptionally stressful circumstances." With this notorious band of imperfect characters, Red Hook Studios wants you to dive into the darkness, blinded by the unknown or what lurks in the shadows. It could be treasures and riches beyond your character's dreams. It could be a horde of monsters you have no hope in overcoming. 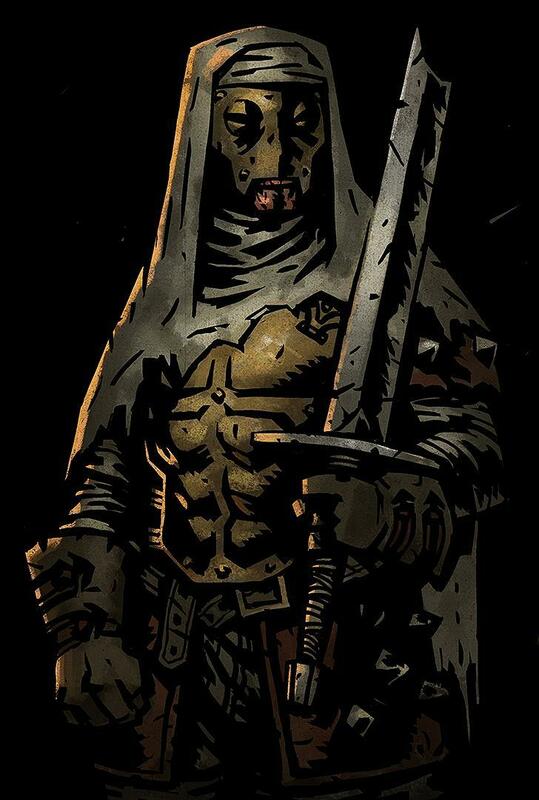 Nothing is certain in Darkest Dungeon's lairs. "We're using a mix of procedural and hand-crafted content. Each dungeon run must feel like a venture into the unknown – no gaming the system or memorizing layouts here," says Baroussa of the game's randomization. "That said, we curate the events to avoid ridiculously absurd strings of bad luck and impossible situations created by a heartless random number generator." "Each expedition you embark on is a unique 20-30 minute experience. Events are themed to the dungeons themselves, so for instance, you might fall victim to more frequent ration spoilage in the festering Warrens than you would in the dusty Ruins. Interactive objects and monsters are themed to their own dungeons as well, so players will have to learn which classes work best in which environments, and plan their party makeup accordingly." While the art and combat of the game might make it seem a little too unapproachable, Red Hook Studios wants you to know that the game is made that way by design. Favorite characters might die. Sacrifices might have to be made. Fleeing is always a better option than dieing. "Players manage a roster of heroes, and I think it's fair to say that you will not get to the end of the story without losing some people along the way. The game is always saving your progress, so the minute you make a decision, it's locked in. This was critical for us to give players a sense that their choices really did matter, and that each decision has consequences." However, the game is not designed to be "cheap" or "unbeatable." "That said, we aren't making a game that is intent on being difficult for its own sake. We want to deliver a challenging, thought-provoking experience, and have taken measures to ensure that things don't feel 'cheap'. For example, if you find things are getting rough on your party, and you want to cut and run, that's fine." "We allow you to retreat, and your heroes will live to fight another day. However, you may find they dropped some of their inventory as they fled, or perhaps they even develop some cowardice quirks or a loss of confidence as a result." 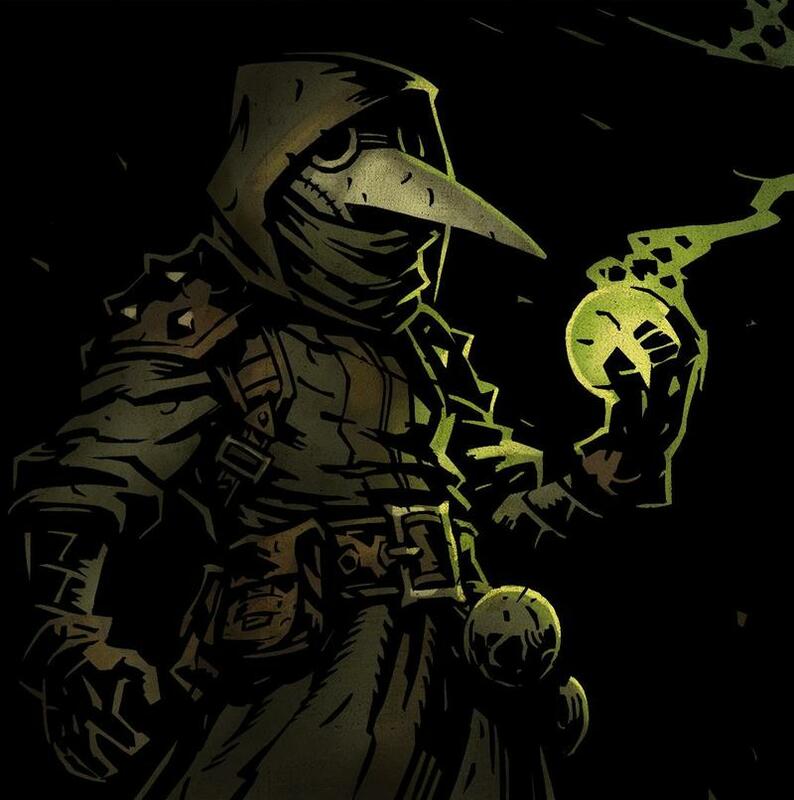 If it is successful in its attempts to deliver such a thought-provoking and slightly maddening experience, then Red Hook Studios hopes you jump back in for more dark quests as Darkest Dungeon "is meant to be played as opposed to be beaten." "There's an overarching story that grounds your experience and provides you with markers as you move to completion. So yes, there's an endgame, a final boss, and a resolution," Baroussa says about the game's length. 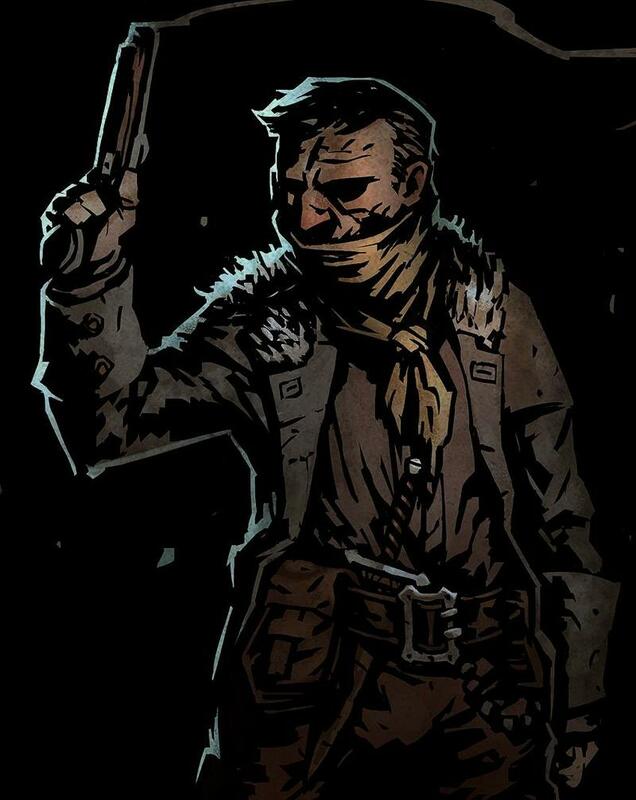 "But our goal with Darkest Dungeon is to create a game that is meant to be played as opposed to be beaten, so we offer a new game+ option and encourage people to continue to upgrade their towns, unlock new playable classes and experiment with different party combinations." "Given its sandbox nature, you can really put in as much time as you have! With roughly a week left in its Kickstarter campaign, Darkest Dungeon has already amassed an impressive $241,816, shattering its requested $75,000, a surprisingly small number for a game with such an intense look. It is currently only slated for PC, Mac and Linux releases, but Red Hook is open to other platforms and has "little doubt that the game will eventually come to some of them." Nothing is guaranteed yet, though. If you like what you see and want to explore the inner horrors of Red Hook Studio's Darkest Dungeon, be sure to check out the Kickstarter page or official website for more information.